Recorded in a decommissioned aircraft hangar in Suffolk, England. Spitfire Audio has introduced London Contemporary Orchestra Textures, a sample-based virtual instrument library that features some sophisticated, organic textures. 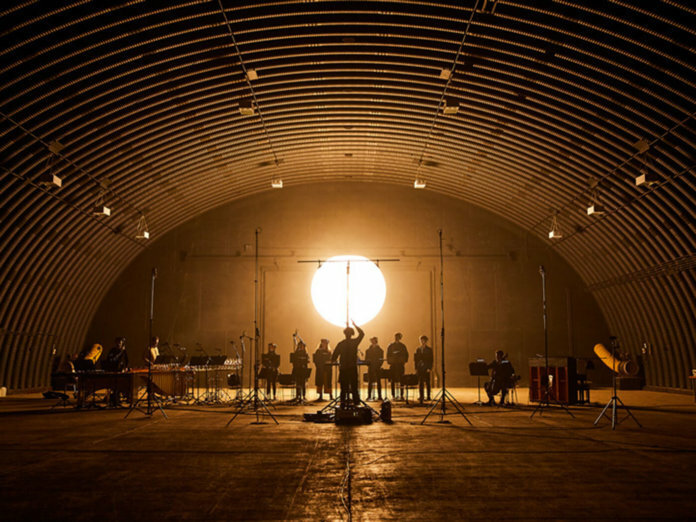 Having previously collaborated with the ensemble on LCO Strings, Spitfire raised the bar by recording in a decommissioned aircraft hangar – in Suffolk, England – that had great soundproofing and a natural 10-second reverb tail. The textures were also partly inspired by the LCO’s previous collaborations, such as their work with Radiohead’s Thom Yorke on music for the remake of the Italian horror classic Suspiria. With this direction, Spitfire took the sounds of familiar organic instruments and blended them in unique ways to create what the brand calls “indefinable, expressive, and modern sounds and textures”. Like other Spitfire Audio products, this sample library will be integrated with the Evo Grid technology. The interface allows you to place ‘pins’ according to an onscreen 10×32 grid arrangement, giving you access to recordings across 12 intervals. You can select which Evo (evolution) is in place at any of the 12 key ranges, or generate randomised evolutions for more sophisticated compositions. On promotion for $199 (RRP $299). More information at spitfireaudio.com.